We offer three levels of JSP & Java Servlets hosting solutions that are designed to accommodate customers' unique application requirements. If you are unsure which level is the most ideal for your application, please feel free to contact our technical support. Isolation from other JVM instances: Since your private JVM runs under your username and has its own dedicated heap space, it will not be affected by other JVM instances running in the server. Even if any other JVM instances shutdown or crash, yours will not be affected. Ability to Start/Stop Tomcat: You will be able to start, stop and restart your JVM instance via SSH or our control panel. This allows you to recompile JSP scripts, reload development descriptor, etc. as needed anytime. Full Classpath Control : This means you will be able to install custom JAR files and classes. You can also add additional paths and JAR files to your classpath. Tomcat Server Manager: You will have full access to the web-based Tomcat Server Manager. Functionalities include listing/deploying/undeploying apps, view resources usage information, and more. We offer the following 4 plans with our Level 2 Private JVM support. PHP, Perl, MySQL, PostgreSQL, Python, more. 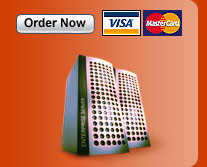 Click here to view the complete list of features of our hosting plans. Click here to try us for free for 30 days! Click here to find out more about Level 3. Please visit our Frequently Asked Questions, or contact us here.